First Nations Development Institute (First Nations), in July 2017, awarded 15 Supporting Native Arts grants and three professional development mini-grants to Native American tribes and organizations under First Nations’ Native Arts Initiative (NAI). Launched in early 2014, the purpose of the NAI is to support the perpetuation and proliferation of Native American arts, cultures and traditions as integral to Native community life. Funding for it is provided in part by Margaret A. Cargill Philanthropies. NAI grantees have been using their grants to strengthen their organizational and programmatic infrastructure and sustainability to reinforce their role in supporting the field of Native arts and artists as culture bearers in their communities and, ultimately, the perpetuation and proliferation of traditional Native arts, traditions and cultures. In addition to financial support, the NAI grantees receive individualized training and technical assistance as well as professional development opportunities for staff members. Indian Pueblo Cultural Center (IPCC), Inc., located in Albuquerque, New Mexico, was one of the grant recipients. 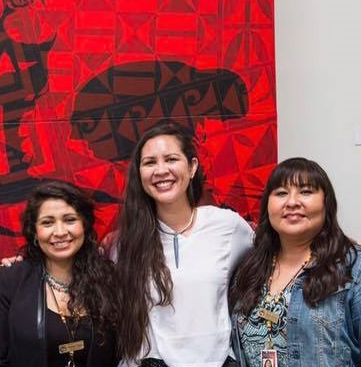 IPCC used the grant to support its Daily Artist Program by providing Native artists with an Investing in Artist Success workshop series in which the artists gain tools to promote themselves as artists, market their work, submit their work to art shows, and build professional portfolios. Bianca Mitchell is from the Pueblo of Acoma, and serves as the IPCC Development Officer. She joined the organization in July 2016 as the volunteer and membership coordinator, after serving three years as the executive director for the Grants MainStreet program that promotes economic vitality for the rural city. Mitchell gained management experience by overseeing the program and through the creation of large events to bring tourism dollars into the area. She saw her move to IPCC as a natural one, to see what she could do on behalf of the 19 Pueblo nations that IPCC serves. “Monique Fragua, the museum director for IPCC (now the vice president of operations for IPCC), felt it would be a good opportunity for me to jump into the development role after I mentioned to her that I was interested in the position, as there was not an established development donor program. We have several events throughout the year at the IPCC which gives our Pueblo artisans the opportunity to showcase and sell their work to guests from all over the world. As the development officer I am responsible for planning, organizing and implementing fundraising and development strategies to increase our donor base in support of the IPCC Programs. So we’re exploring how we begin to develop our major donor program,” said Mitchell. 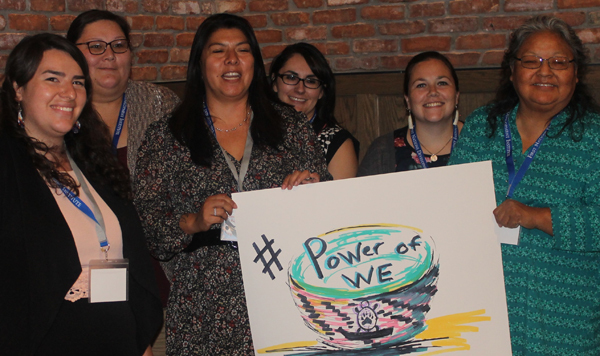 It was Mitchell’s new role as the development officer that prompted her to be part of First Nations’ Power of We – Fundraising, Sustainability and Telling Our Stories training in September 2017. 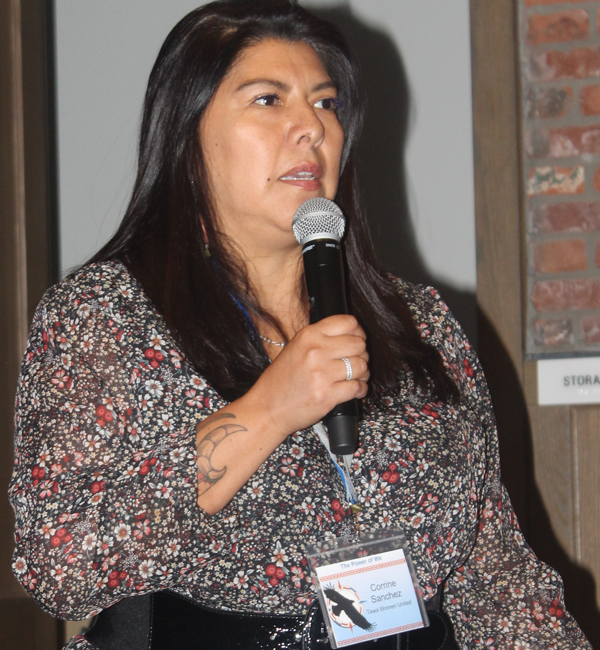 She was one of 54 attendees representing Native nonprofits and tribal programs from across the country. The informative and engaging training focused on sustainability, and provided the attendees an opportunity to develop a deeper understanding of fundraising best practices and communicating the impact in a peer-learning environment. “It was an eye-opener to be involved with other nonprofits who are trying to create their own and develop programs as well. Areas such as annual fundraising programs, crafting the message, and determining the organizational values are more than just measuring the value. I enjoyed Kim Klein’s presentation and her book. I also enjoyed meeting and learning together with my peers,” said Mitchell. One Power of We speaker in particular who struck a connection with Mitchell was Tewa Women United (TWU) Executive Director Dr. Corrine Sanchez of San Ildefonso Pueblo. Sanchez’s presentation was entitled: “The Irrigator: A Metaphor for Organizational Sustainability.” She shared how TWU is incorporating the farming and early legacy of their ancestors into their vision and strategies for organizational financial sustainability. 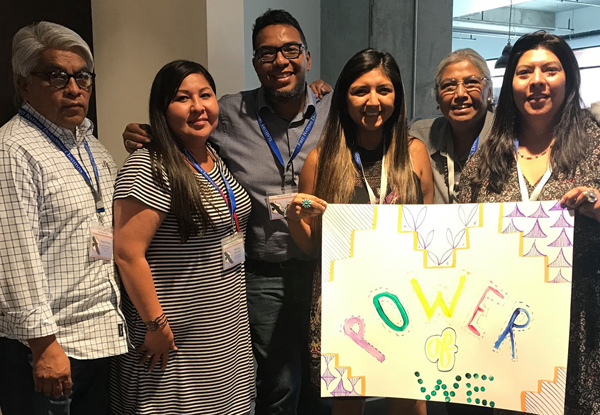 The story covered the “herstory” of Tewa Women United and lessons learned over 28 years of evolution in addressing social change and transformation. In recalling her presentation, Sanchez said “technology failed and it was a good thing,” as due to technical difficulties she was not able to show her slide presentation and she had to speak directly from the heart. “It was a really good session. I was nervous and so I focused on nonprofit programming in a rural community, and the struggle with finding funding, planning and sustainability. How do you sustain an organization, a budget over the years, how things happen, the struggle – I wanted to convey what it feels like to deal with all this,” said Sanchez. Sanchez and Tewa Women United are a part of NativeGiving.org, a project of First Nations Development Institute which has been supported by the W.K. Kellogg Foundation and the San Manuel Band of Mission Indians. After many years navigating a small nonprofit, she understands the challenges many face. “I think the common thread that I hope everyone took away was that in order to make pottery or art to sustain community, whether it is through fishing, hunting or harvesting, we had to have the planning in place. Some think that Native communities don’t plan well, but it’s the Western bureaucracy which doesn’t allow us to move the way we should have. We already have the knowledge and the skills needed to translate and transform our communities,” said Sanchez. It was Sanchez’s passion and commitment to her organization that resonated with Mitchell, and the advice and support given by the speakers and other participants, which Mitchell took home with her.